I am very much enjoying looking at these skater profile shots again so I might post another couple yet. Right opposite where we shot this one of Savage Blanc, was a skate park. I am sure we made a lot of teenage boys day that day. Also, happy to say that as this graffiti is not there any longer, I am happy to have captured it. I have my fingers and toes crossed, or wait, was that just a dream!! This was a shot from my 2nd year folio and a job for GRDL. One of ten skater profile pics for the GRDL website. I especially love this one for several reasons. Firstly, the car, its beautiful!!! And this shot does not really do it justice. And secondly, I love the axe. This was Death Roll Doll’s idea and it was perfect. 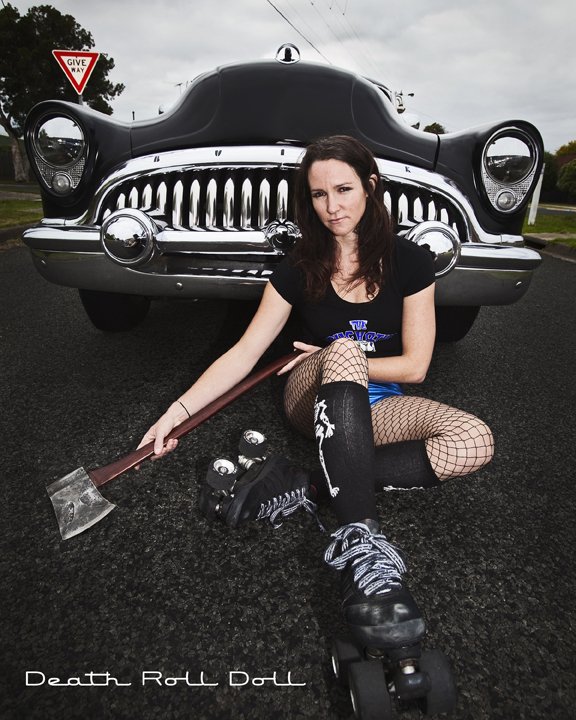 When I asked her , why the axe, she simply replied, well I am a country girl. Fair enough. I also just love the vibe. The axe does add to the vibe, but Death Roll Doll’s expression is a little off putting and makes you wonder what she has in mind. 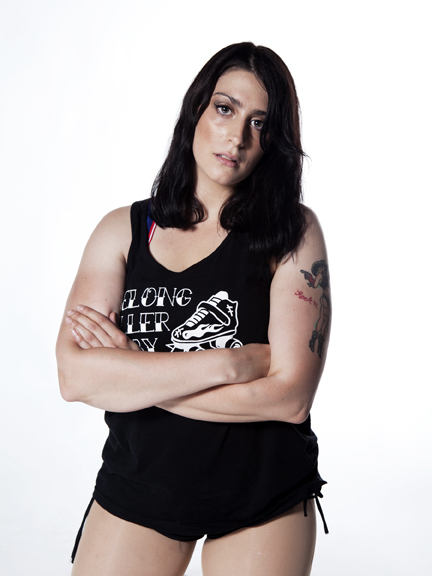 Today I’ve been editing shots I took for Geelong Roller Derby. They are for their website and for Hit and Miss magazine. They are skater profile shots and I really enjoyed watching each skater as they showed their alter ego’s personality. 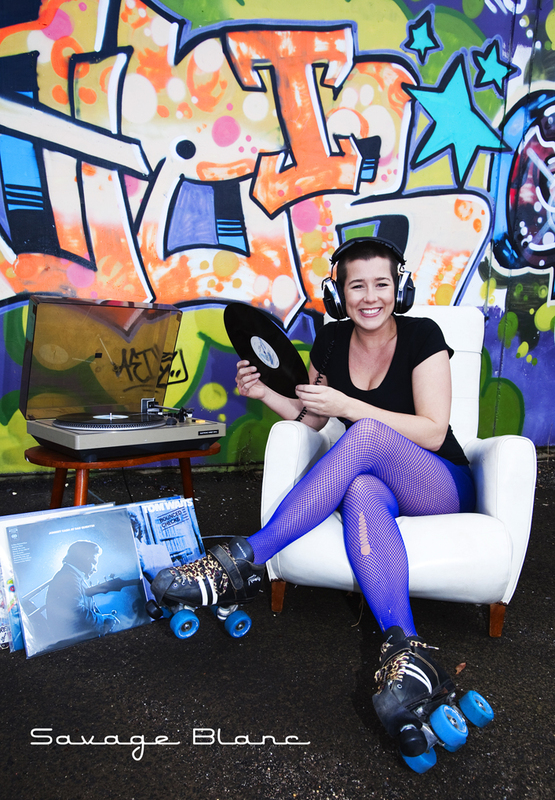 There were not a lot of smiles amongst the photos as that is not what a ‘roller girl’ wants to be known for. In one session I managed 30 something skaters, phew!!! Still a few more to go though in take 2.